Forget the static bar racks and screens and throw away the bar screen rake. Its time for a highly efficient continuously raked bar screen for your headworks, pump stations and storm overflows. The Chain & Rake Monster ® is designed to provide quick removal of heavy slugs of material in order to protect downstream processes. It robust designs is especially suited to quickly remove debris from heavy storm flows out of the channel and keep treatment systems running. 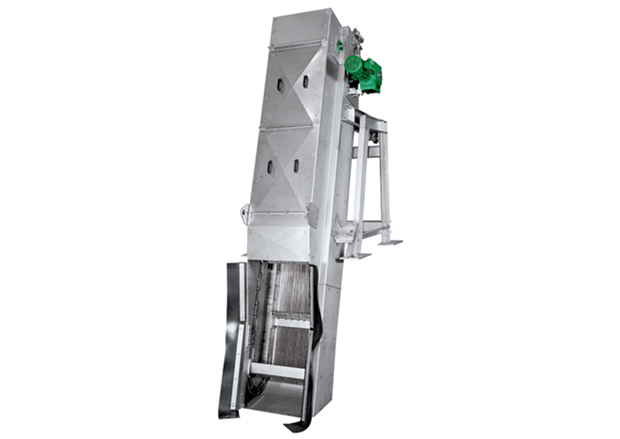 The Chain & Rake Monster features replaceable bar screen rake teeth are bolted to the automated bar screen rake support which is fastened to the chain on each side. They pass through a bottom guide track which avoids the necessity of sprockets and bearings in the sewage flow increasing system life. For units that are 20’ (6 m) and deeper JWC has a design for sprockets in the bottom to help reduce the loads on the chain.